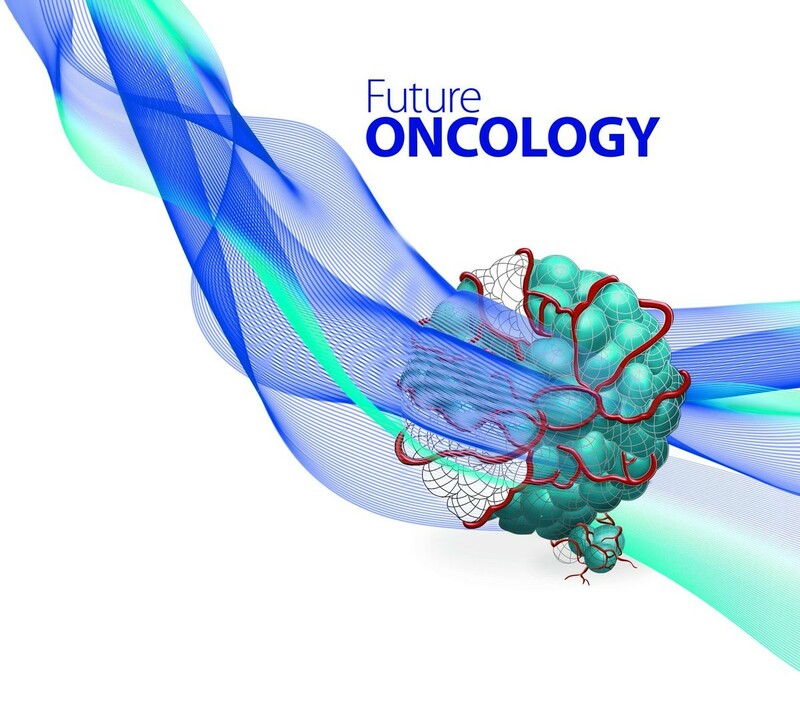 The authors discuss future perspectives regarding the treatment of uveal melanoma (UM) and why the therapeutic regimen must be tailored to the biological tumor background. 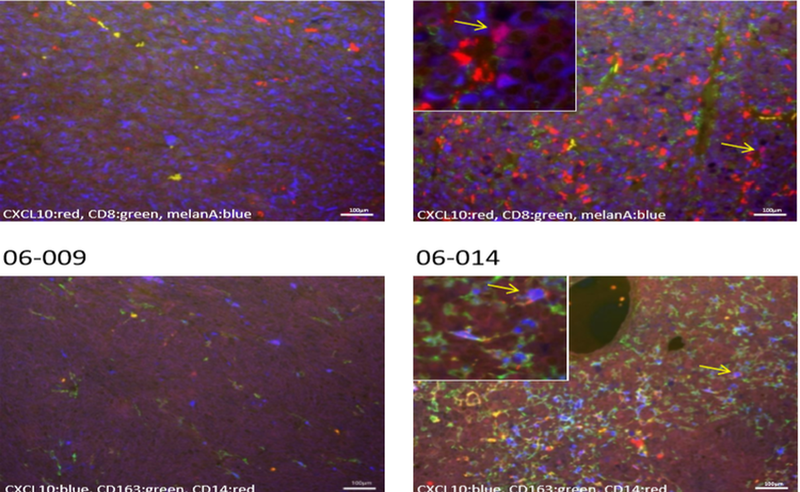 This research article may explain the unexpected response to immune checkpoint inhibitors in a few UM patients, opening the door to further clinical research to treat patients with MBD4-deficient tumors. 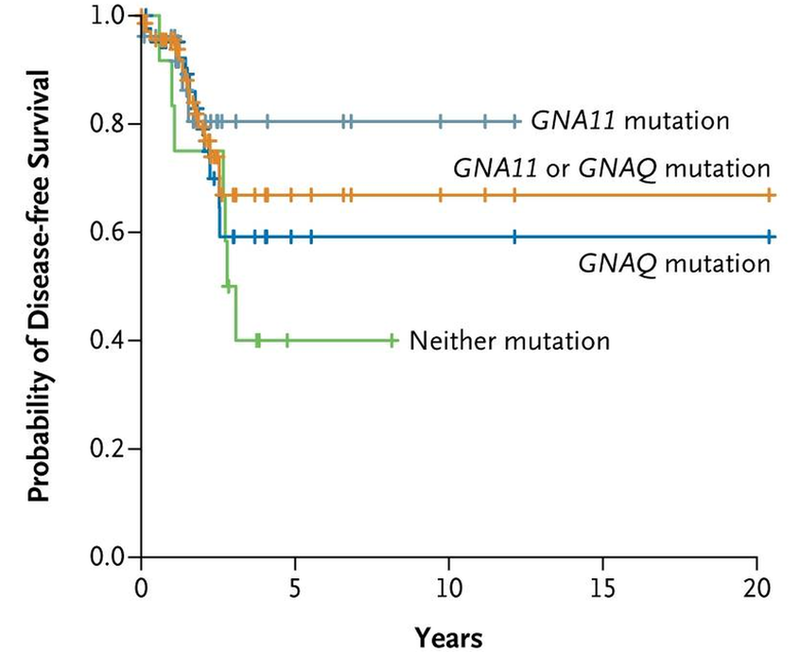 In this article, we review genetic prognostic indicators in UM, also comparing available genetic tests, addressing the clinical application of genetic prognostication and discussing future perspectives for improving genetic prognostication in UM. 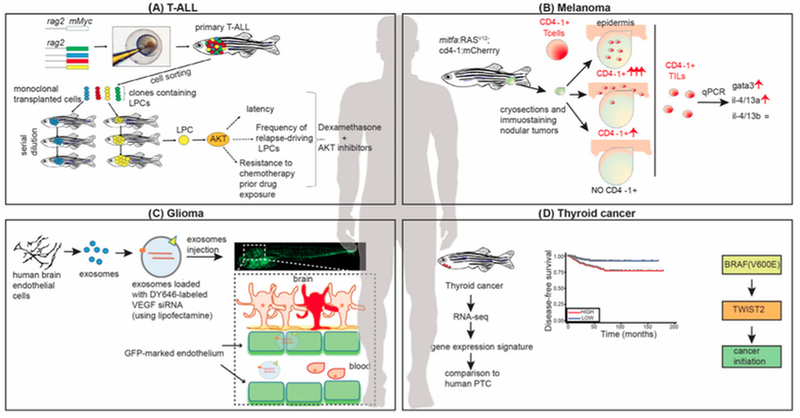 We report on recent advances in using zebrafish as a model in cancer studies—with specific focus on four cancer types—where zebrafish has contributed to novel discoveries or approaches to novel therapies. Early changes resulting in gain of chromosome 8q may activate macrophage infiltration, while sequential loss of BAP1 expression seems to drive T cell infiltration in UM. The CLPTM1L region contains risk alleles for uveal melanoma susceptibility, suggesting that CLPTM1L could play a role in uveal melanoma oncogenesis. 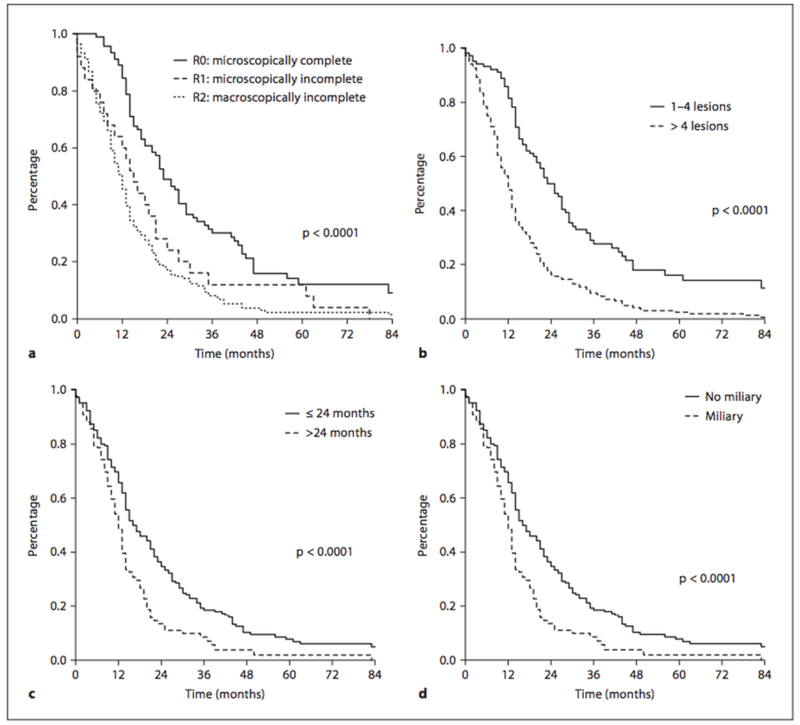 Combining information on AJCC staging and chromosome 3 and 8q status allows a more accurate prognostication in UM. 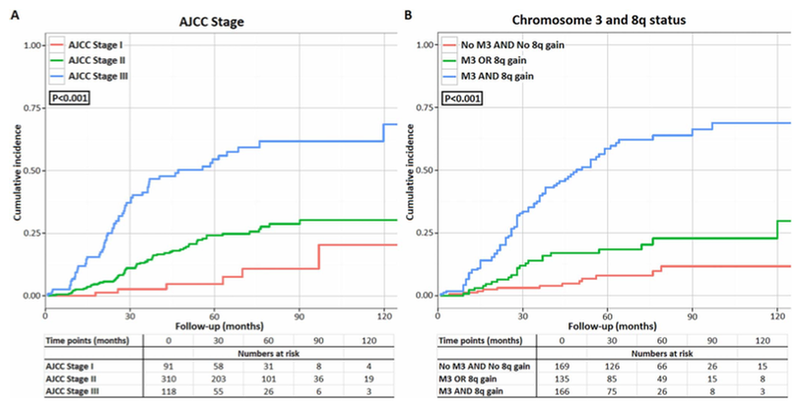 The prognostic value of the AJCC staging system can be improved by adding information regarding chromosome 3 and 8q status. Treatment of uveal melanoma: where are we now? 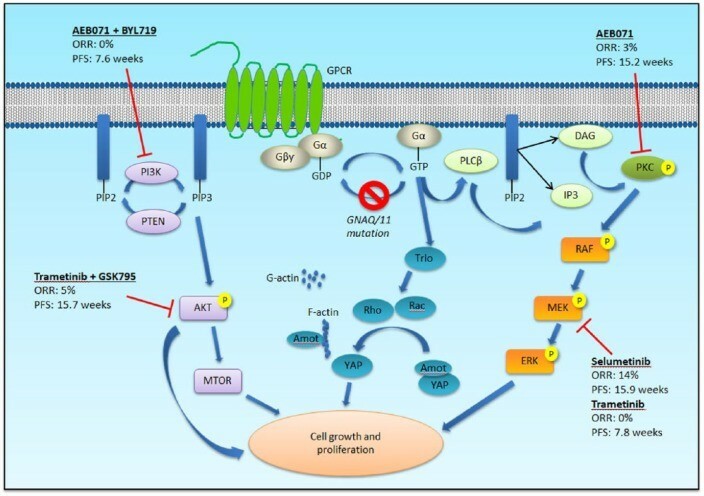 In this paper, the authors discuss the various treatments evaluated in the setting of metastatic uveal melanoma. 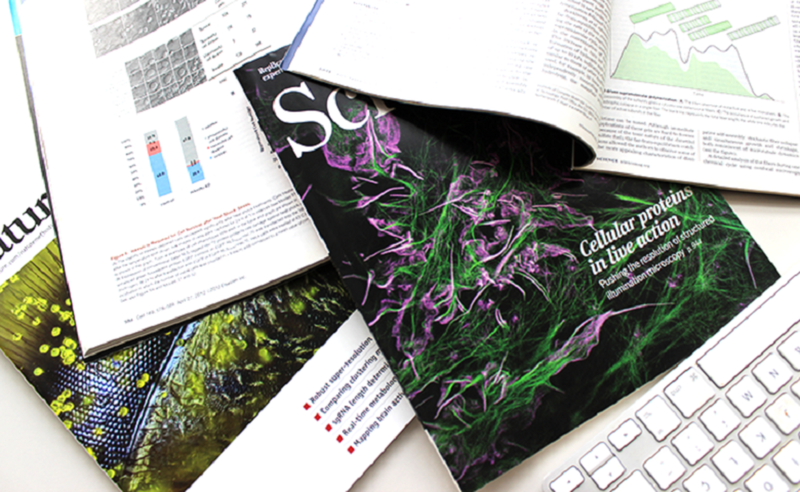 Trough the understanding of uveal melanoma’s biology, immunotherapy efficacy may be improved after priming the tumour from immunologically “cold” to “hot” with a new molecule. 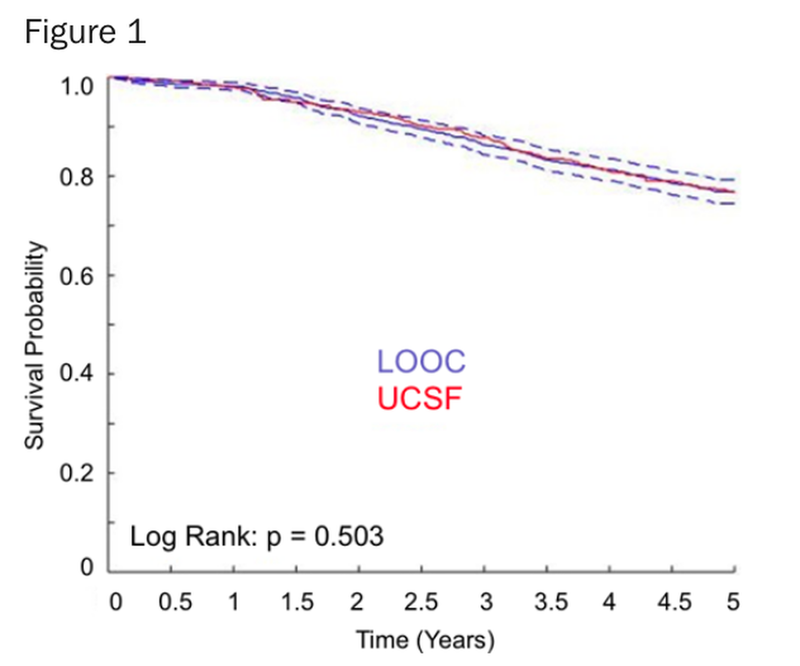 This study implies that the metastatic proclivity of UM is "set in stone" early in tumor evolution and may explain why advances in primary treatment have not improved survival. Analysis of kinome-wide signalling network dynamics has the potential to reveal actionable drug targets and inhibitors of potential therapeutic benefit for UM patients. 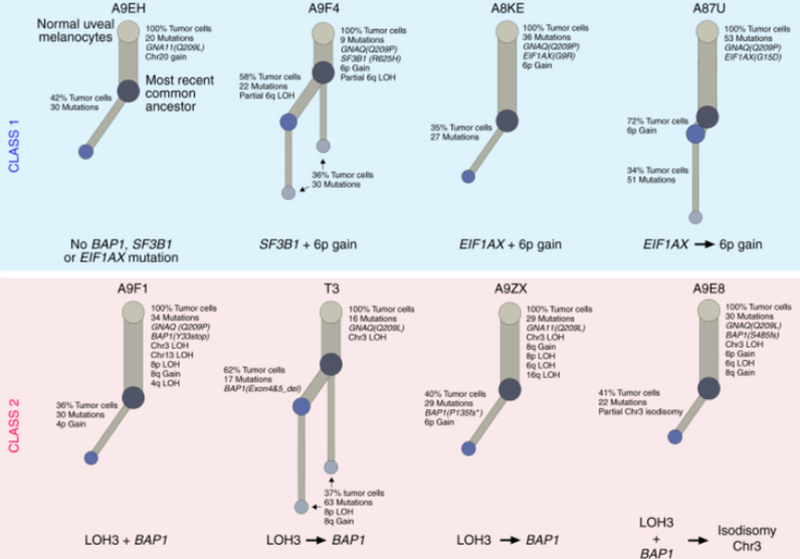 Study resulting from a Rare Tumour Project of The Cancer Genome Atlas (TCGA) Project where a molecular taxonomy of four clinical subsets of uveal melanoma (UM) subtypes is identified. 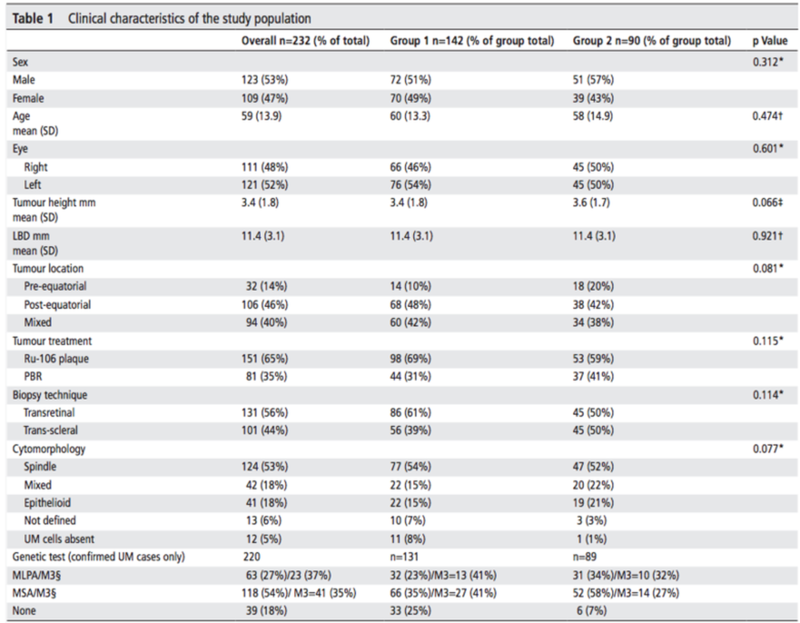 Improved surgical techniques and laboratory methods yielded successful cytology and genetic information in 99% and 89% of cases, respectively. The finding that PRAME-specific T cells in this study reacted against PRAME-positive UM cell lines suggests a potential role for PRAME-directed immunotherapy for selected patients with metastatic UM. 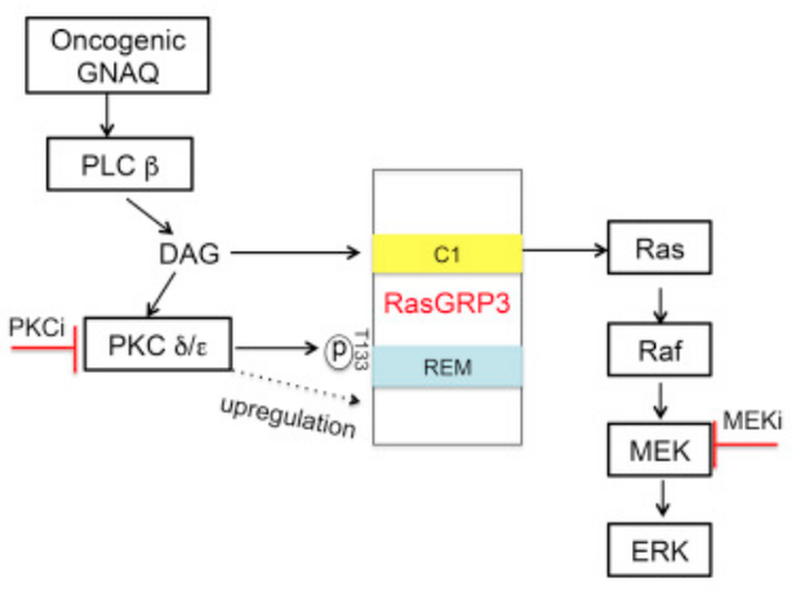 The findings nominate RasGRP3 as a therapeutic target for cancers driven by oncogenic GNAQ/11. 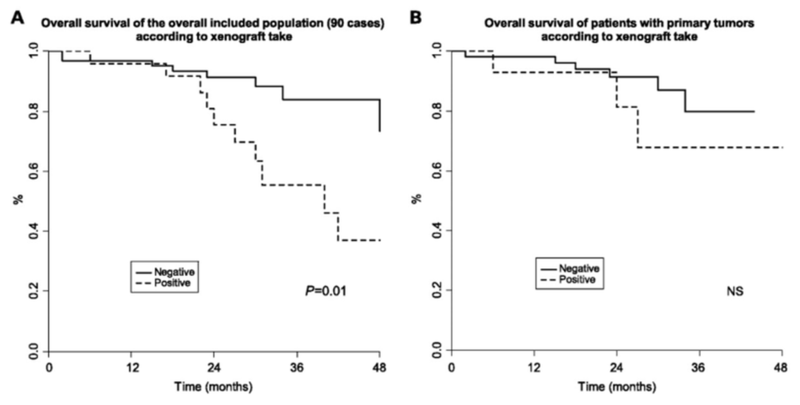 This paper validates the Liverpool Uveal Melanoma Prognosticator Online (LUMPO) in a cohort of patients treated at the University of California-San Francisco (UCSF). 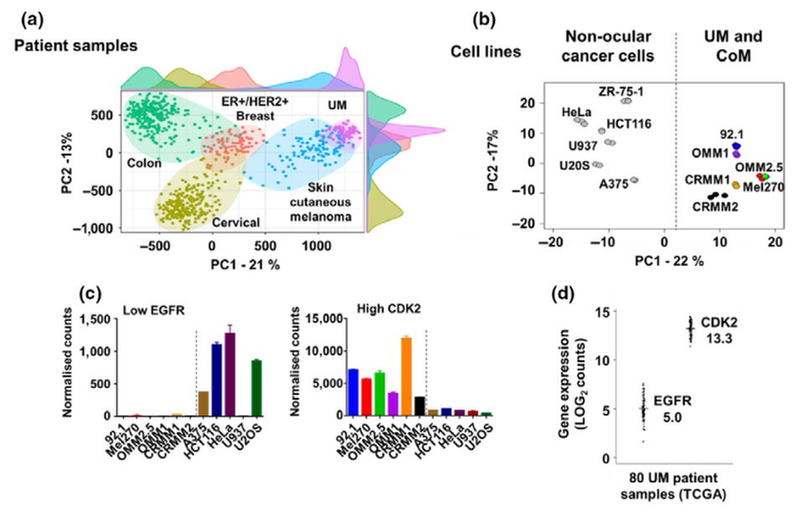 Weak correlation between oncogenic GNAQQ209P mutation and sustained ERK1/2-MAPK activation. 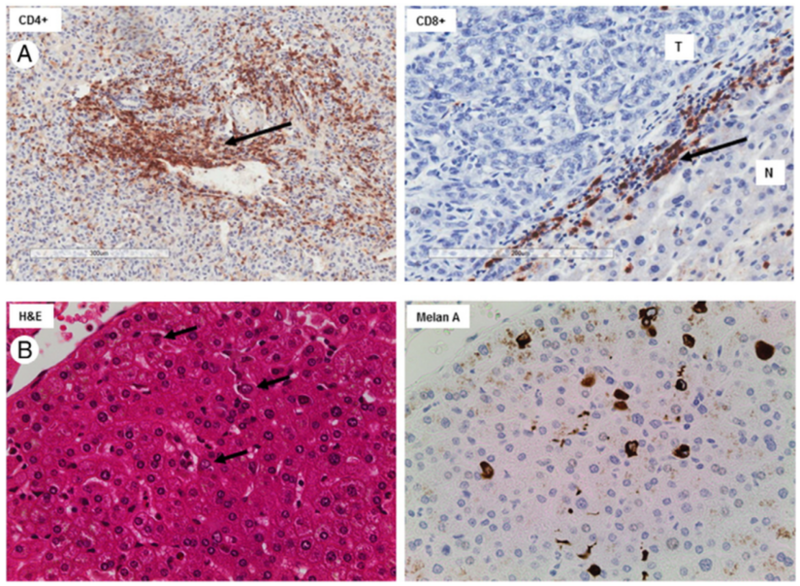 This paper examines the presence and distribution of umor-associated macrophages (TAMs) and infiltrating T lymphocytes (TILs) in mUM within the liver. These results strongly argue against generalizing the observations made in mesothelioma to all cancer syndromes with BAP1 deficiencies. These findings suggest that PTP4A3-related subcellular localization of MMP14 is an important event in metastasis induction. 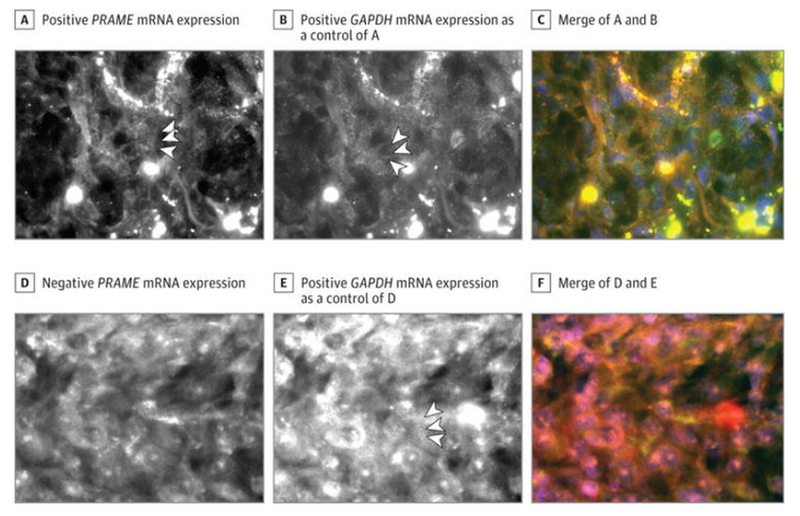 RFA can be used to treat liver metastases to spare the hepatic parenchyma. 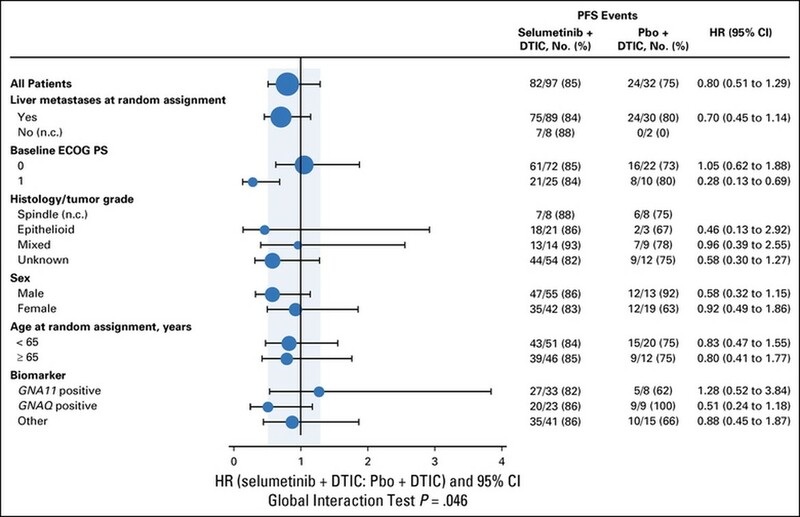 RFA ± liver surgery and liver surgery alone demonstrate similar survival times. 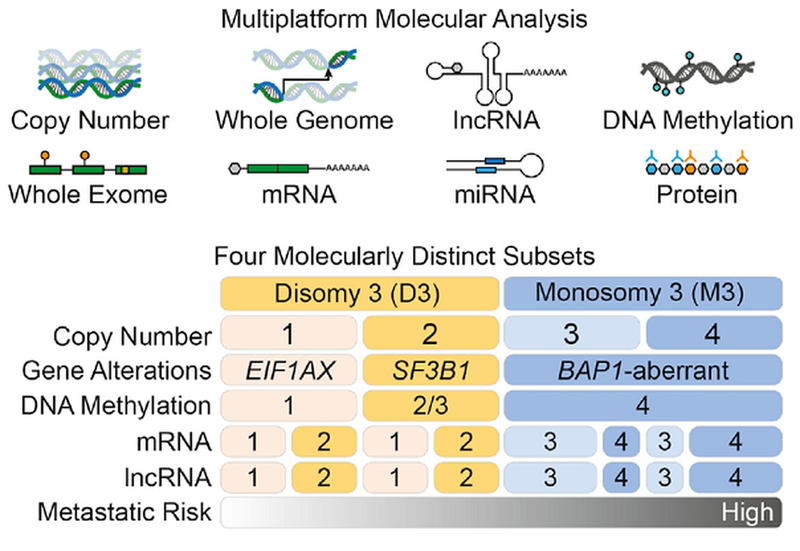 This study provides a better understanding of the mechanisms underlying splicing alterations induced by mutant SF3B1 in cancer, and reveals a role for alternative branchpoints in disease. Molecular and chromosomal classification strongly predicting metastatic death has to be used to identify genetic profiles and pathways involved in the pathogenesis of uveal melanoma leading to new targeted therapeutic strategies. 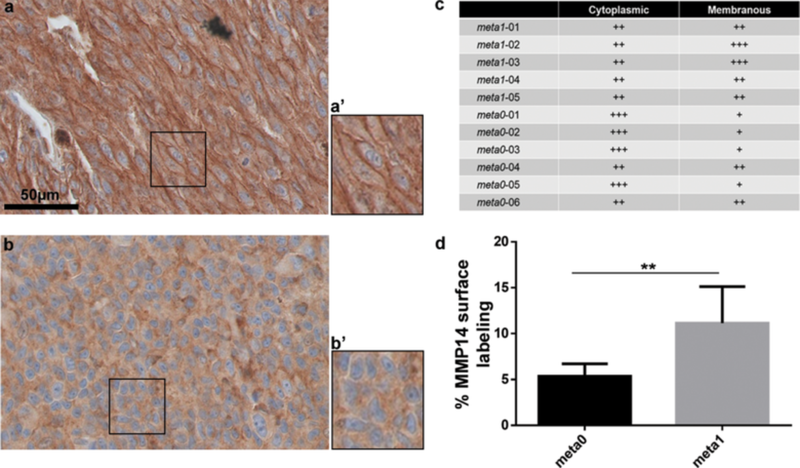 This paper's findings implicate loss of BAP1 in uveal melanoma metastasis and suggest that the BAP1 pathway may be a valuable therapeutic target. 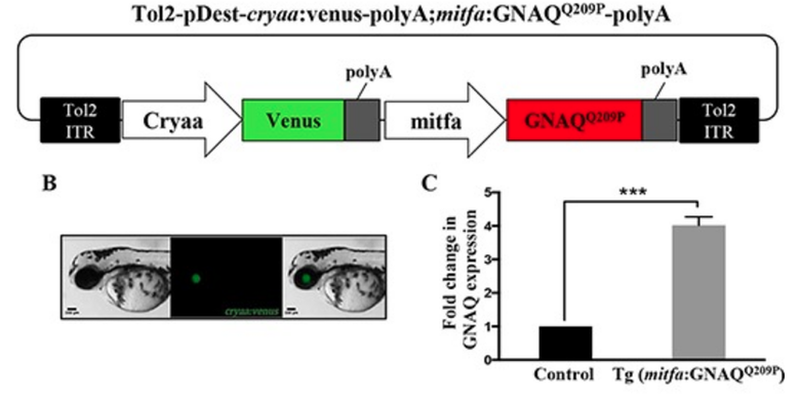 Constitutive activation of the pathway involving the GNAQ or GNA11 genes appears to be a major contributor to the development of uveal melanoma. This panel of 16 uveal melanoma xenografts represents a useful preclinical tool for both pharmacologic and biological assessments. 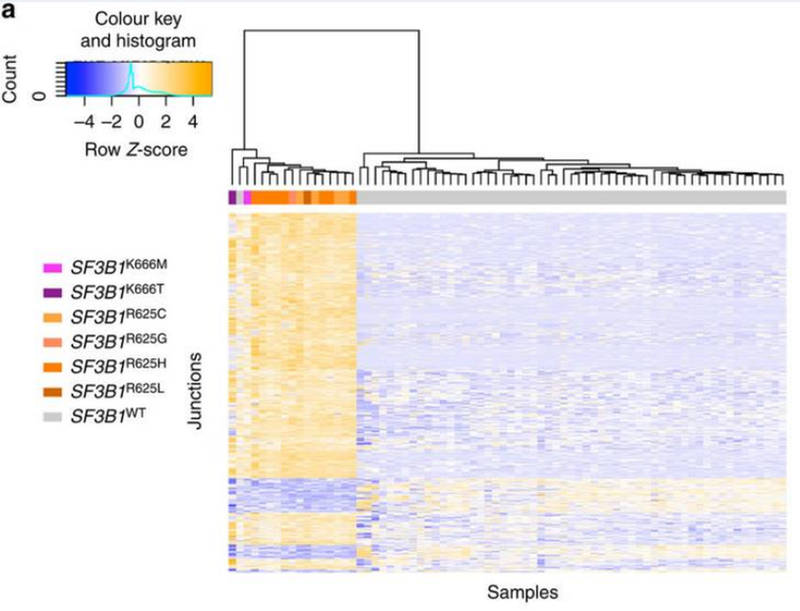 Epigenetic regulation of tumour suppressor genes provides an attractive mechanism for tumours in which mutations and structural changes are rare.